We honeymooned to Placencia, Belize November 14-21. We stayed at Robert’s Grove Beach Resort. We stayed for 7 nights/8 days. We bought a Living Social deal online for the resort we stayed at. It was for 6 nights and we added an extra night. It was the perfect amount of time there. We felt that we were able to get everything in that we wanted to and had enough time to relax on the beach. My husband was interested in Belize and had wanted to go there for a while now. After doing research and seeing some beautiful pictures, we decided it would be a wonderful place for our honeymoon. We prefer something a little off the beaten path. Travel time was only about 6 hours, so we could spend more time on the beach! Initially we wanted to go to Tahiti or Bora Bora, but it takes up so much travel time, and we could not get off enough work to enjoy our time there (another time!). Plus, we were able to get a good deal with Living Social, and since it was the end of the rainy season, the rates were lower. Relaxing and spending time together, of course. 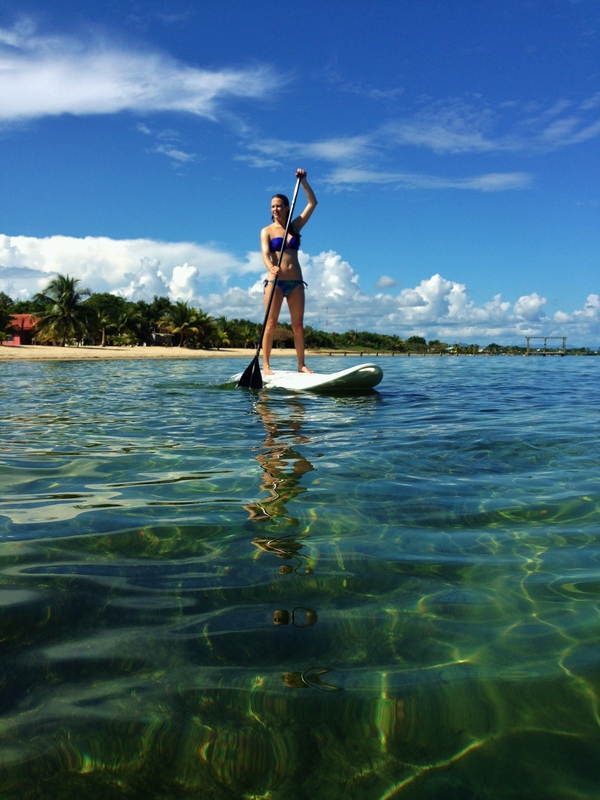 We spent plenty of time soaking up the sun on the beach, stand-up paddle boarding, kayaking, and riding bikes. We went on a few different excursions that we really enjoyed. Our favorite was the snorkeling trip. 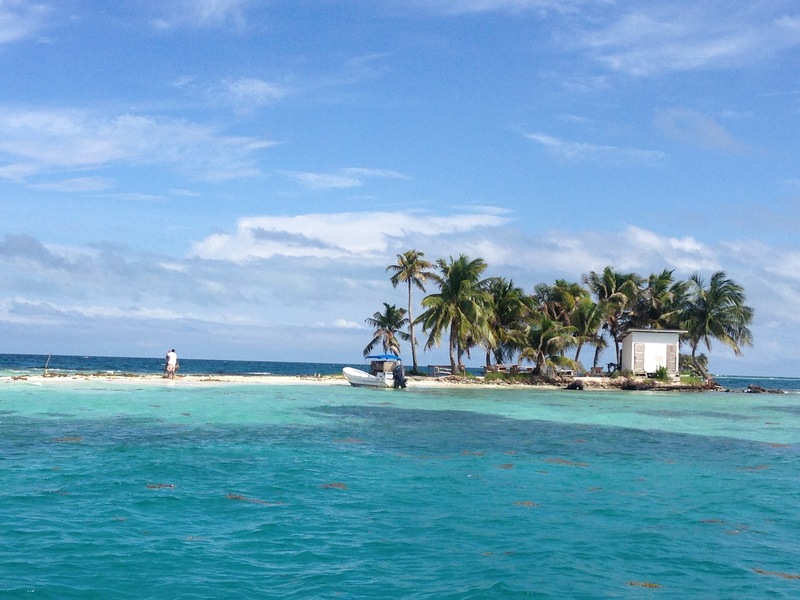 Belize is known for its beautiful blue water and has second largest barrier reef in the world. We took a two-hour boat ride to a tiny island that looked like it was straight out of a Corona commercial. The water was so blue and beautiful. 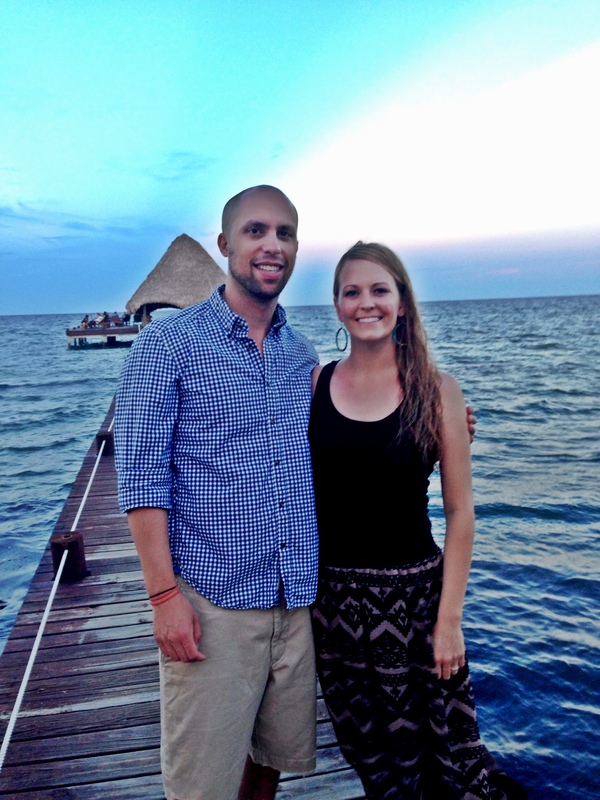 We saw a lot of different fish and swam with sharks, sea turtles, and manta rays. 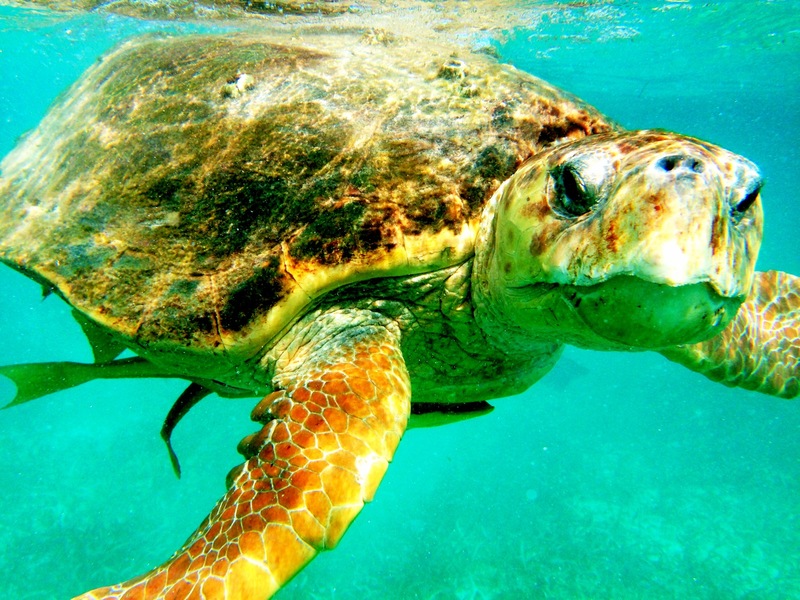 Swimming with the sea turtles was my favorite part. We also went on a jungle/river tour where we saw crocodiles, howler monkeys, and manatees. Lastly, we went on a tour of the Mayan ruins and went cave swimming. The cave swimming was very exciting and adventurous. We swam/rock-climbed upstream into the cave. The water level was higher than normal so it was a struggle to make it very far, but it was definitely a thrill. 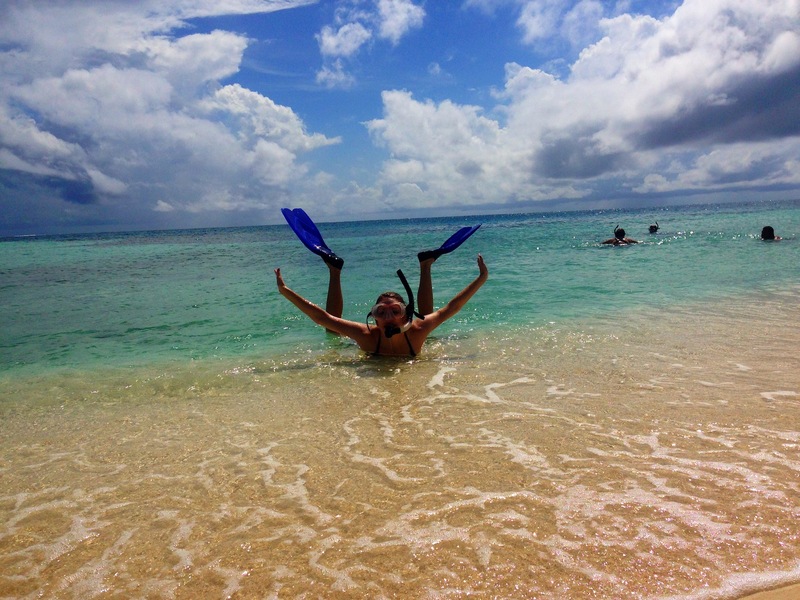 We loved everything about our trip, the location, resort and excursions. The amount of time spent was also just right. If we had a few more days we would have liked to explore the other side of Belize. Placencia is becoming more popular but is definitely a small, quiet rural town. There is always the option to rent a car or travel by small plane to different areas. 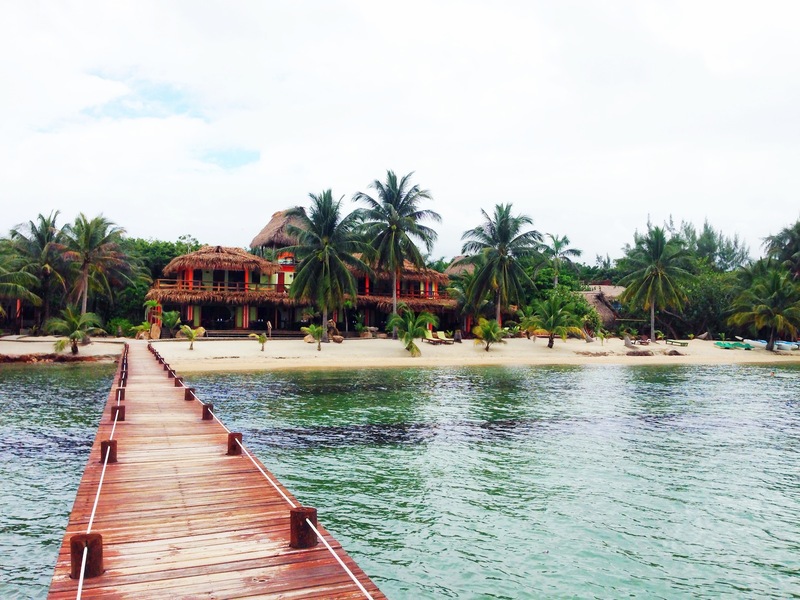 Ambergris Caye is an island in the northern part of Belize that is definitely more popular and touristy. It would have been neat to spend a few nights there just to explore a different part of the country. We spent very little time planning. Once we decided on Belize, I started searching Living Social since I had seen deals on there before specifically for Belize. We chose the deal with the resort that most interested us and had the best reviews. 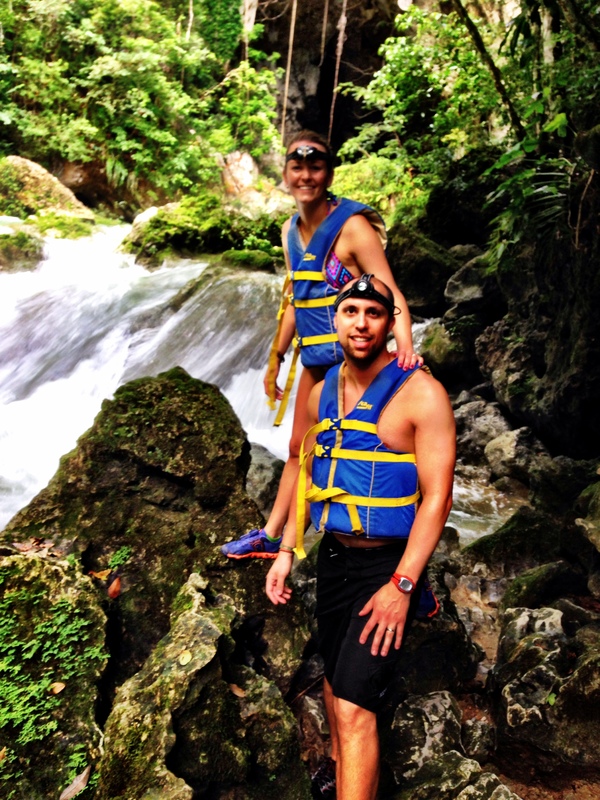 Our resort offered excursions that were run by their staff so this made things very easy. Otherwise, I did a little research a few days before we left to look up restaurants and that was about it. It was pretty easy to get around and everything is located within about a 15 mile stretch on the peninsula. Fortunately, we did not have to splurge much on our honeymoon. We received all of our excursions from our friends/family via honeymoonwishes.com. 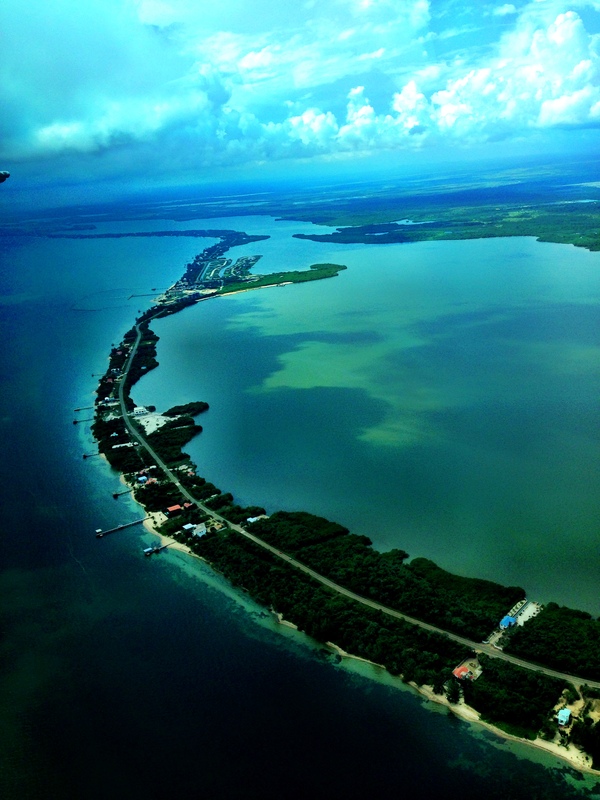 We spent extra to take a small hopper flight from the international airport in Belize City, direct to Placencia. Otherwise you can rent a car or take a bus which takes about 4-5 hours versus only a 45 minute flight. We also had a couple nice dinners during out stay. Rumfish y Vino in Placencia was a nice restaurant. It was on the main street in “downtown”, if you can call it that, and had a nice atmosphere and unique menu. We discovered Maya Beach Bistro at the end of our trip and ate there the last two nights. Their food, wine selections, and desserts were absolutely delicious. Our next big trip is going to be a “Great American Roadtrip.” We are just starting to plan this trip. We are thinking about renting an RV, taking a few months off and traveling throughout North America.